With sales of gin having tripled in the last decade, according to a recent report, this juniper-based spirit is well and truly back in vogue. Not surprisingly, this has also fuelled a whole host of new artisan distilleries across the country – such as the Copper Rivet Distillery in Kent. Located on the banks of the Medway in Chatham’s Historic Dockyard, this craft distillery has been producing its own spirits since 2016 – and the good news is that we are now stocking their award-winning gin here at The Carpenters Arms. 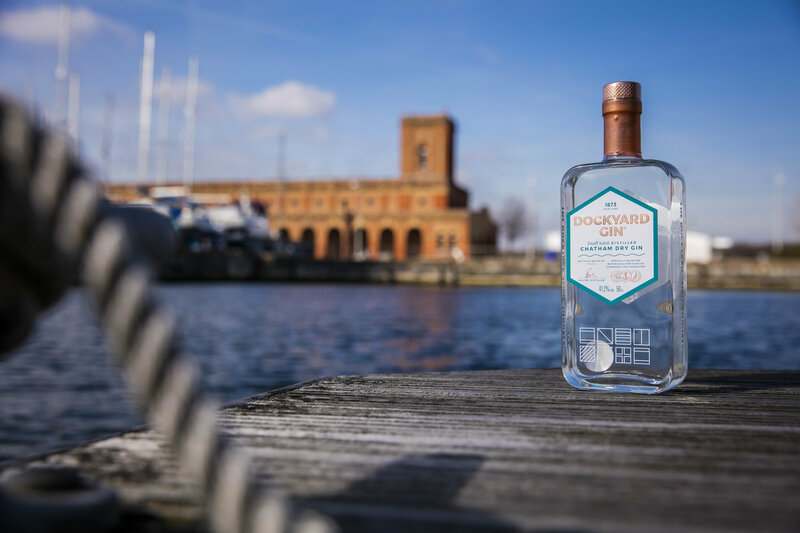 Appropriately named Dockyard Gin, this terrific tipple is a contemporary take on traditional naval gins. Crafted through a hand-made copper still, wrought in Chatham with the same skill that local craftsmen once fashioned world-class ships, the gin is flavoured with only the finest, specially-selected botanicals from across the globe. To give you an idea, the list of ingredients includes Italian Juniper berries, Bulgarian coriander seeds, Spanish orange peel, Italian lemon peel, Guatemalan green cardamom and African grains of paradise – to name but a few. However, there is also a strong local element to the process with their own locally-sourced elderflower, Kentish chalk-filtered water and the cereals grown and harvested on the Isle of Sheppey and near Canterbury. The result is a delicious dry gin with a citrus/floral top note followed by a sweet, spicy mid note and a refreshing aftertaste. And we can confirm that it’s just perfect accompanied by a good-quality tonic and a handful of ice! The only spirit producer based in Kent, the Copper Rivet Distillery is also one of only six UK distilleries to control the whole distillation process from grain to glass. Housed in a Victorian Pumphouse, they run tours of their premises too. All things considered, it’s perhaps no surprise that they are already starting to pick up awards with all three of their products – the Dockyard Gin, Vela Vodka and their bespoke Son of a Gun concoction – scooping silver at the 2017 International Wine & Spirit Competition (IWSC). So, don’t miss the chance to come and give their gin a try here at The Carpenters Arms. What better way to end a sunny day in Surrey?